o2 Fashion themes has been purchased 65, rating: 4.67/5 based on 3 reviews. Includes more than 13 homepage options and tons of powerful modules such as Mega Menu, SEO, Ajax add to cart, Quickview, Layered Navigation, Daily Deal, Related Products, etc. o2 Fashion Shopify theme is a great theme for the online store. It is suitable for all kinds of shops such as fashion, apparel, shoes, jewelry, cosmetics, vegetables, watches, electronics, etc. In addition, o2 Fashion theme is compatible with all devices such as tablets, laptops, mobile phones, computers, etc. 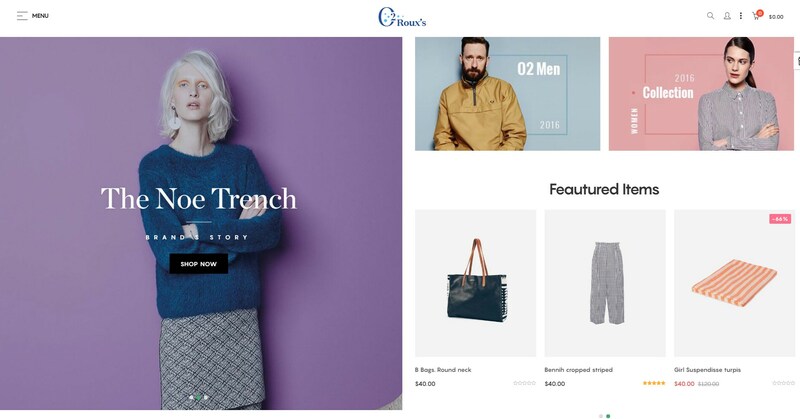 It’s time to test the o2 Fashion Shopify theme for your store today.